Tim is a graduate of Butler University earning a degree with High Honors in Sociology/Criminal Justice, and a minor in Political Science. While at Butler, Tim was a member and officer in the Beta Zeta Chapter of Delta Tau Delta Fraternity; a member of Order of Omega, a Greek honorary society; a member of Alpha Kappa Delta, the International Sociology Honorary Society; and the recipient of the Butler University Sociology Department's Edwin Sutherland Award, which is given to the student who best shows an aptitude for criminology. During his freshman year, Tim was a member of the Butler University Baseball Team, and enjoyed playing competitive baseball in the Indiana Adult Baseball League. Tim continued his education at the Indiana University School of Law Indianapolis. During law school, he participated as an Associate Editor of the Indiana Health Law Review, and earned the honor of having his student note published in the 2006 issue. Tim earned Dean's List recognition and was a member of the Sports and Entertainment Law Society while in law school. Tim joined Richards, Boje, Pickering, Benner & Becker in 2005, as a law clerk while still attending law school. 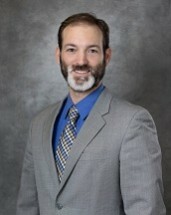 Tim began full-time as an attorney with the firm following his admission to the Indiana Bar in 2006. Since joining the firm, Tim has enjoyed working on a variety of legal issues, and focuses his practice primarily in the areas of criminal defense and juvenile delinquency matters. Tim gained significant experience in the field of juvenile delinquency while working as a bailiff in the Marion County Juvenile Court prior to law school. He currently serves as a public defender for juveniles through a pauper contract with Hamilton County . Tim's work in the areas of criminal defense and delinquency matters includes DUI/OWI defense, felony and misdemeanor offenses, suppression hearings, and property offenses such as theft or burglary. In addition to his work in criminal defense and juvenile delinquency, he practices in the areas of personal injury, family law, estate planning, and other civil matters.